A few weeks ago I made the move out of the big smoke to settle in Devon. 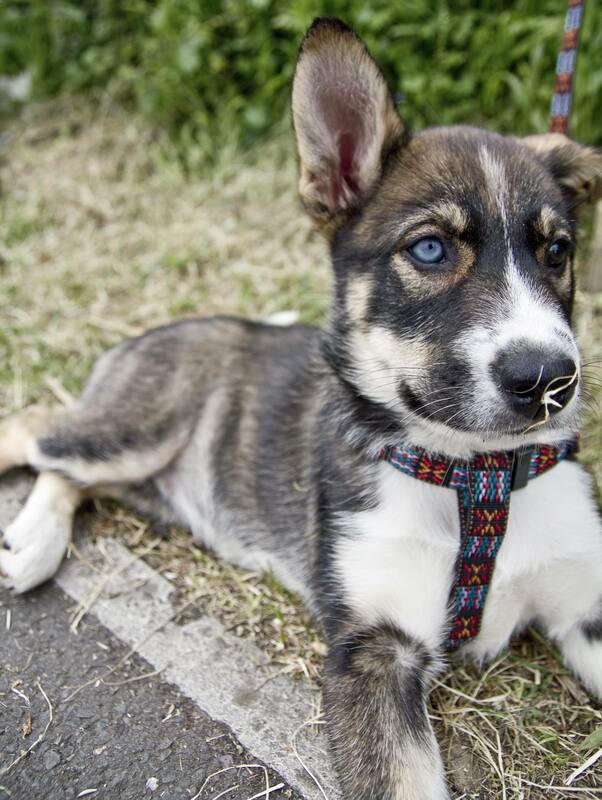 Pretty much the first thing I did was get a puppy. Meet, Bella. Since I’ve been here, I haven’t quite had the time to enjoy the relaxing lifestyle I was anticipated because living in Devon doesn’t mean you suddenly have less work to do and I’m toilet training Bella! But I have managed to get out on one of the bikes to explore from time to time. I took the fixed gear on a ride from my home in Newton Abbot to the pretty Ness Cove in nearby Shaldon. It was a beautiful ride along country lanes past thatched cottages, but my lack of gears did make things a little harder than it would be on a road bike. My tyres got a good testing down the hills and I’m happy to say that the Halo ‘berlin twin rails’ are still in one piece. Well two, obviously they’re a pair. Other than getting out on the roads, I’ve been out on the mountain bike with the Exeter Mountain Bike club, who run weekly women’s rides. My bike is being repaired at Pro Cycle Centre at the moment though so I had the chance to try out Kye Forte’s Charge Bikes 29er. It was ace! Rolled over absolutely anything although it’s on the large side for me so getting going up a steep hill was sometimes tricky. 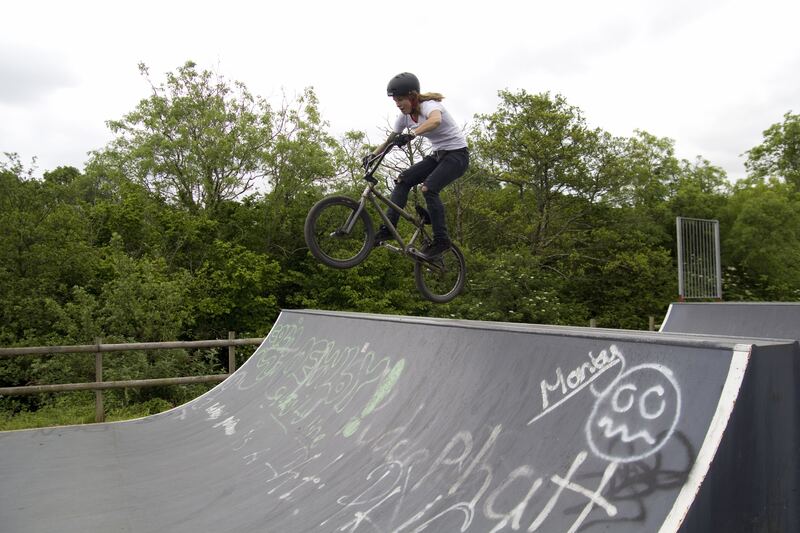 Nearby Haldon Forest is great for riding mtb and if you’re ever in the area you should check it out. 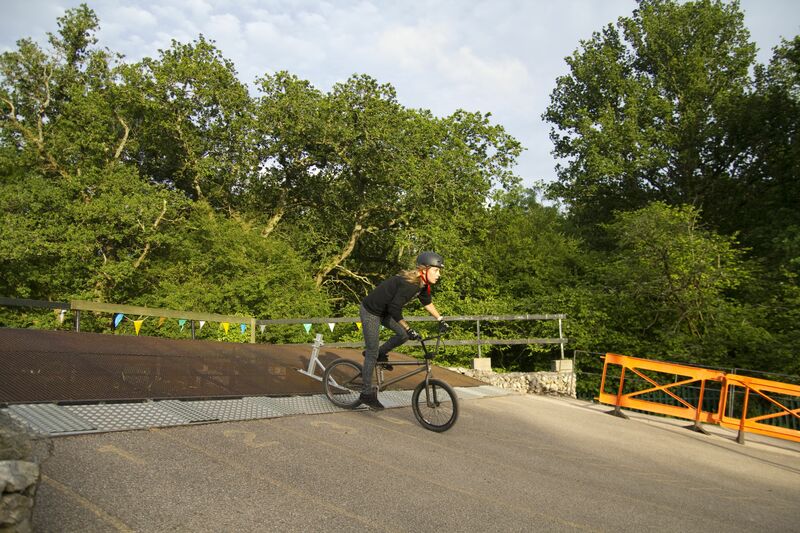 I live near Decoy, with it’s amazing looking trails and super sweet bowl. 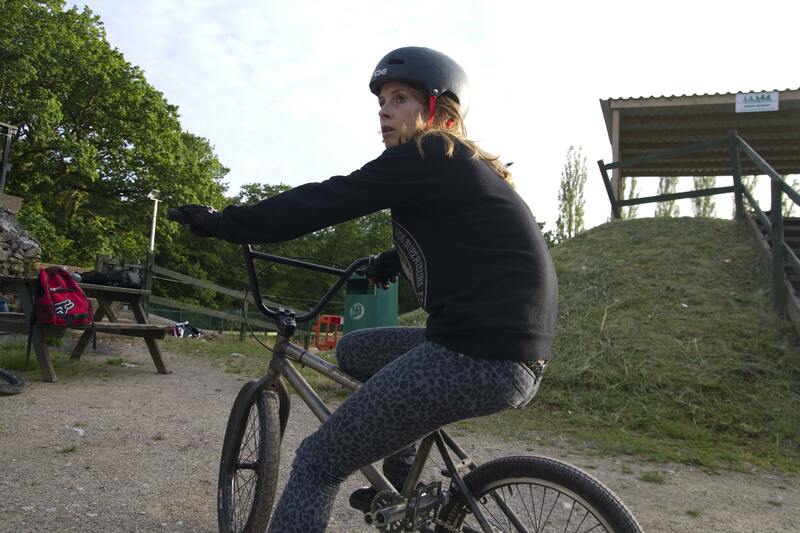 Before I moved here I thought I would spend the summer riding the trails but when I got here and saw the size of them, I quickly realised that I’d have to make other plans. They are MASSIVE! 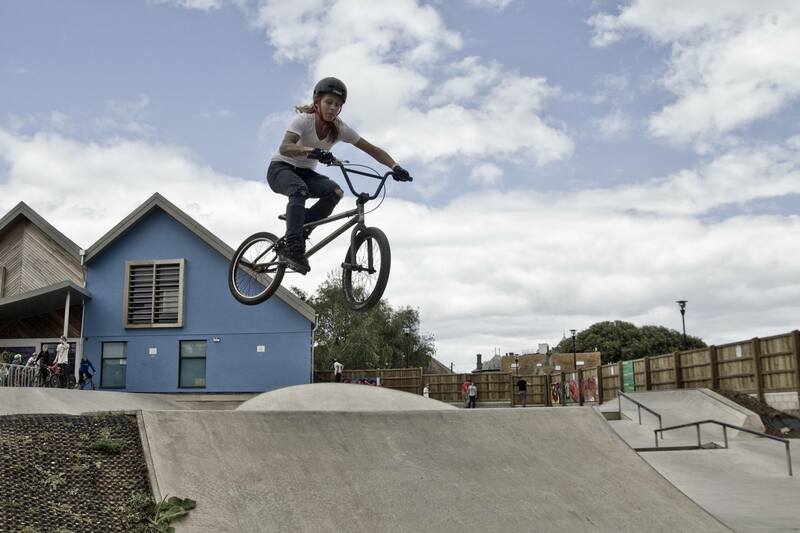 I hopped in the car and drove up to Brixham skatepark which was a laugh. It’s metal so pretty slippery but has a small spine which I really liked riding. 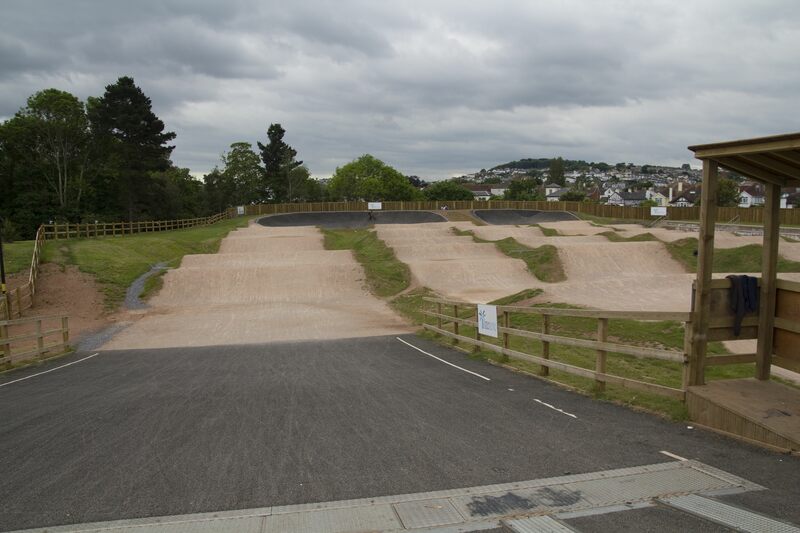 After that I checked out Paignton which has a really, really nice smooth park with a lovely fun box, hip, bowl and ledges and just next door is a BMX track. 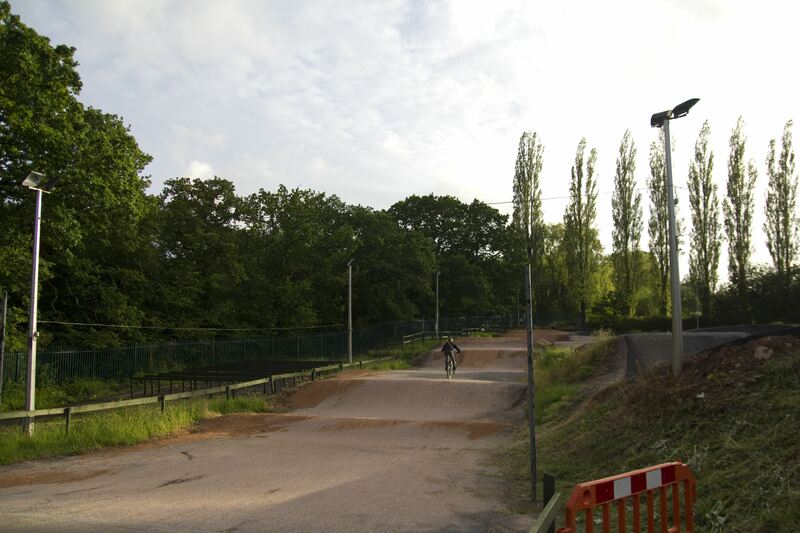 On Wednesday nights in Newton Abbot, the BMX race track is open, so I’ve also been there a couple of times and I’m thinking about entering my first race in July. I’ll keep you updated on all I have got going on. Hey Nathan! Yeah I’ve been dying to go to the track since I moved here. Hope I get there soon!